#SideNote – if I had it my way, I would turn off Cisco at 10am during the day (business hours) and migrate all DDIs to Lync…… I very rarely get things my way. 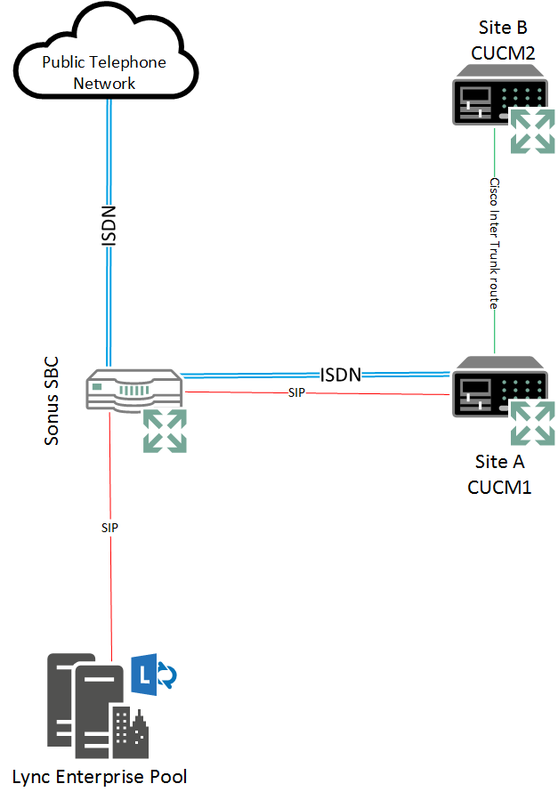 An ISDN and SIP trunk exist between CCM and Sonus SBC, this is because it is easier from a CCM administrative perspective to use a new SIP trunk as extensions are moved from the CCM appliance onto Lync (AD lookups do not cover all call flows). I don’t have any Cisco Call Manager specific knowledge, just voice in general so the customer went away and had a look at CCM, which seemed OK too. Opening the above captured log in Snooper, searching for the extension that was dialed, presented me with the initial issue, the oh so useful “503 Service Unavailable” error being reported by the SBC. 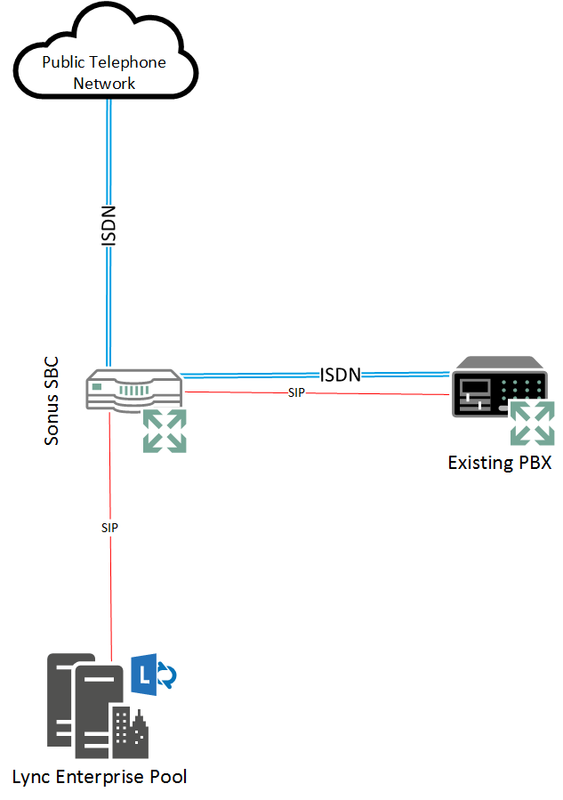 Not much more to troubleshoot in Lync, until we understand why the SBC is presenting us with the 503. After reproducing the issue and capturing a log using the Sonus LX logging tool, I then found out that it was the London CCM that was sending the 503 error to the session border controller, which was then passing the message over to the Lync Server and subsequently onto the Client. So now we know the issue is arising from CCM, we know that signaling is OK, so therefore media must be our issue. At this point, although the customer instructed me to accommodate for G711 only. Whilst doing some testing in a quite corner by myself, I decided to add the G729 codec into the CCM Media List, configured on the SBC. NB: if G729 is not available as a codec to choose from then you will need to create the profile first, then assign it within the media lost assigned to the CUCM signaling group. 3 hours later, calls were working OK. I would have expected to see more information in relation to SDP negotiation failure due to the codec mismatch. What appears to have been happening is the Cisco Handsets were unable to understand the G711 codec and were producing the engaged tone. Whilst calls to the SBC SIP trunk connected CUCM1 appliance in Site A were ok, calls to the CUCM2 appliance in site B connected to CUCM1 via an inter site trunk route were failing. Prioritising this codec, whilst still allowing for G711a law fixed it for me! The three issues previously listed, were all related to media flow, applying the codec change gave us a quick win for all three problems! This entry was posted in Enterprise Voice, Issues, Lync, Skype for Business and tagged Cisco Call Manager, Cisco Handset, Enterprise Voice, EV, Lync, Lync Endpoint, Lync Server, SBC by goodchildc. Bookmark the permalink.